A Marine Corps RQ-7B Shadow unmanned aircraft system assigned to Marine Unmanned Aerial Vehicle Squadron 3 prepares to launch in support of an amphibious landing demonstration as part of the Rim of the Pacific exercise at Marine Corps Base Hawaii, July 29, 2018. The launch was the last flight for the Shadow in the Marine Corps, which is replacing the platform with the RQ-21 Blackjack, a technologically superior and expeditionary system. 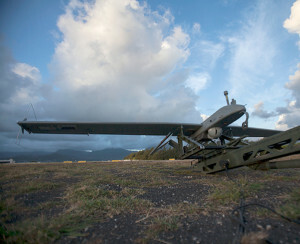 After years of service to the armed services, the RQ-7B Shadow unmanned aerial system was retired after its final flight during the culmination event for the Rim of the Pacific exercise at Pyramid Rock Beach Marine Corps Base Hawaii July 29. 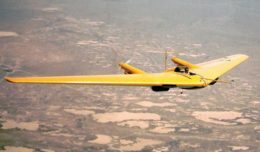 Marine Unmanned Aerial Vehicle 3 was the last squadron to use the Shadow. The other Marine Corps unmanned aerial vehicle squadrons already transitioned to the RQ-21 Blackjack. Marine Corps Master Sgt. Madhur Sawhney, an air crew chief with operations and training for Marine Aircraft Group 24, said the Shadow’s support for Rimpac operations was vital. He added that while the Shadow has been a versatile system that makes a difference during missions, the transition to the new Blackjack makes the Marine Corps mission to be expeditionary even sharper. The San Antonio-class amphibious transport dock ships that are part of amphibious ready groups and Marine expeditionary units will be able to launch the Blackjacks, Sawhney said. He noted that the new platform is lighter and smaller than its predecessor. Sawhney said as the mission continues, technology will also continue to advance and lead unmanned aircraft systems to return to their expeditionary roots.